Here is a quick taste of a new song coming out from Dovid Gabay, Bsimcha Tomid. 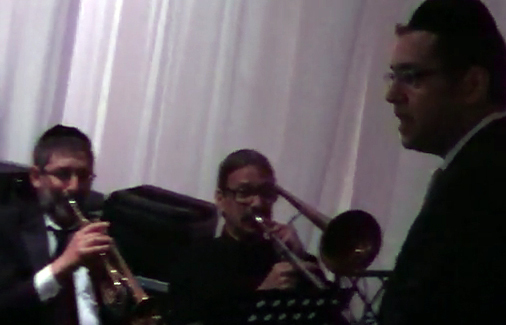 Music By Kol Sasson Orchestra, Video By Motty Engel 917-627-3275, Chemy Soibelman – Drums, Bitz Bree – Percussions, Sammy Kissel – Guitar, Lenny Friedman – Trumpet, George Zorko – Trombone. Watch after the video for 50 second clip from the actual song.